Happy Wednesday! Last week was another crazy weather week where we bounced from spring to winter and then spring again. I just checked the weather forecast for the rest of this week and it's not much different. Thursday's high is 74 and there's a chance of snow on Sunday. So crazy! I'm so ready for consistent spring temperatures because the seventies is my favorite. Today, I'm rounding up five of my favorite Instagram pictures from last week which also includes a mix of winter and spring vibes. 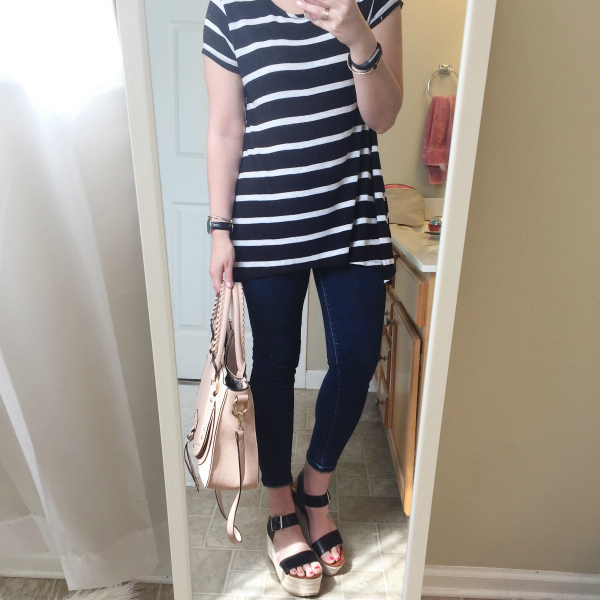 I'm still loving neutral colors (especially gray and black) of pops of blush pink! That shade of pink hasn't always been my favorite. I'm typically a bright pink kind of girl but I am really love this soft shade for springtime. 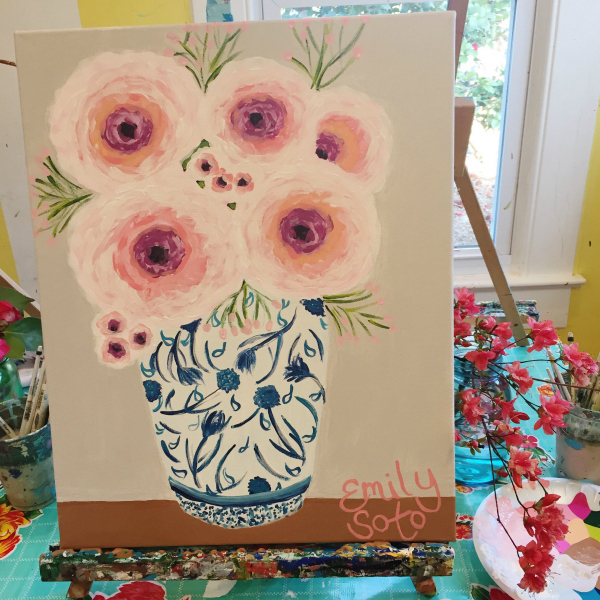 I had so much fun painting this at The Preppy Possum! I think it's my favorite so far! Such a great roundup girl! I am loving all your looks! Happy Wednesday! Love the leggings! So much fun! 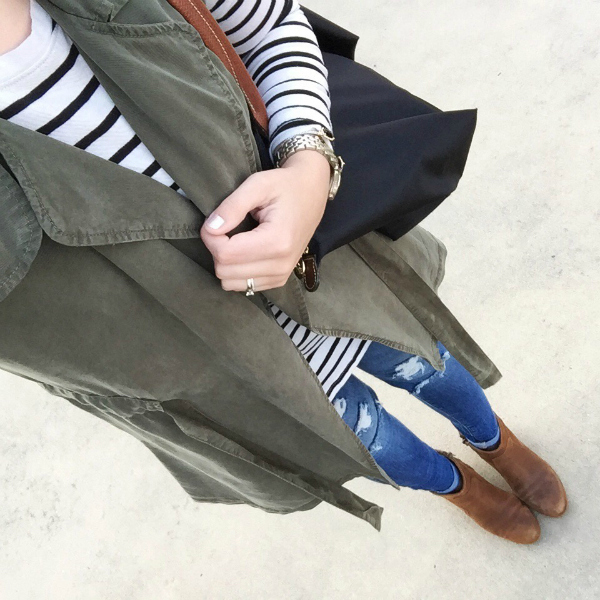 That blush bag and those wedges are to die for! I totally agree about the weather. It's been in the mid-50s (normal) and now it's supposed to snow this weekend, ugh! Have a great day babe! So many great items! 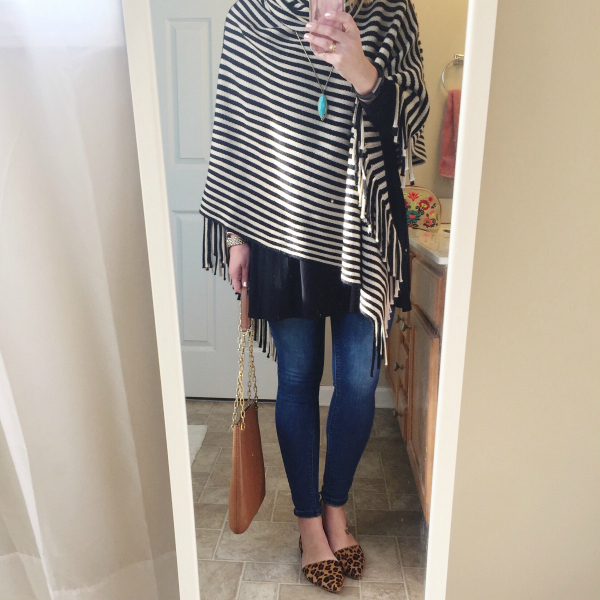 Love those leopard flats. These roundups are the best! Adorable leggings!! love the bright leggings in the first photo, so fun! That painting you did is so pretty!! Great round-up! I love those leopard print shoes! So cute and fun!